Forget Flowers. 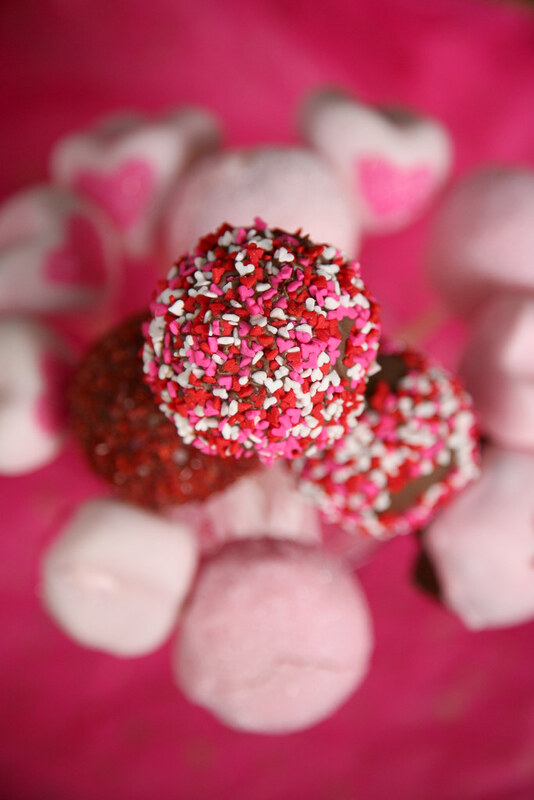 Give a Bouquet of Valentine's Day Cake Pops! 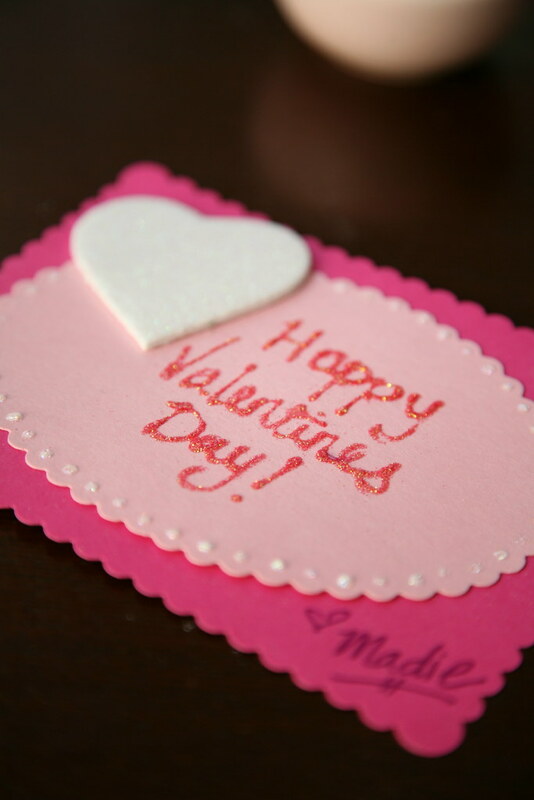 Happy Valentine's Day, Friends! 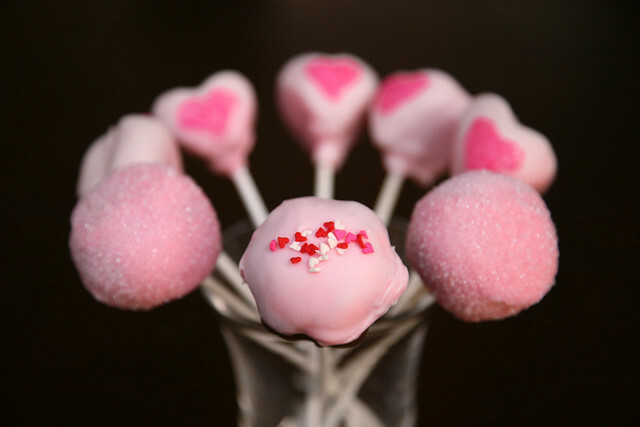 Check out these pink heart-shaped cake pops I made. 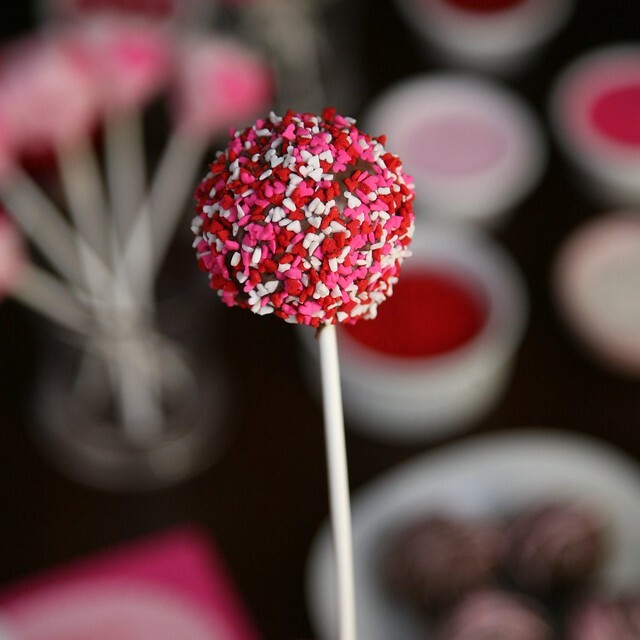 I followed Bakerella's cake ball/cake pop/cupcake pop fundamentals. I actually was originally going to make the "Sweet Hearts" from Bakerella's Cake Pops book (conversation heart cake pops), but halfway through I decided to take an alternate route. 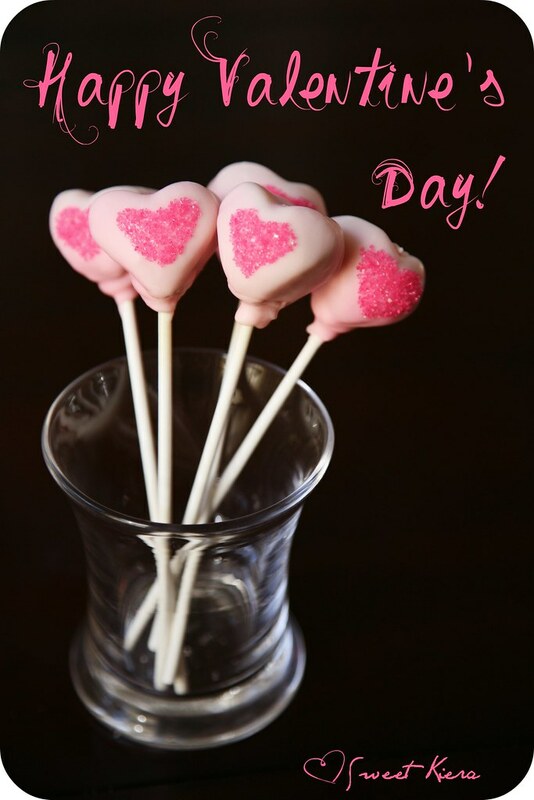 I went with pink heart shaped cake pops. I painted on a smaller heart with a little bit of corn syrup and dipped it in a hot pink sparkling sugar to get the double heart look. 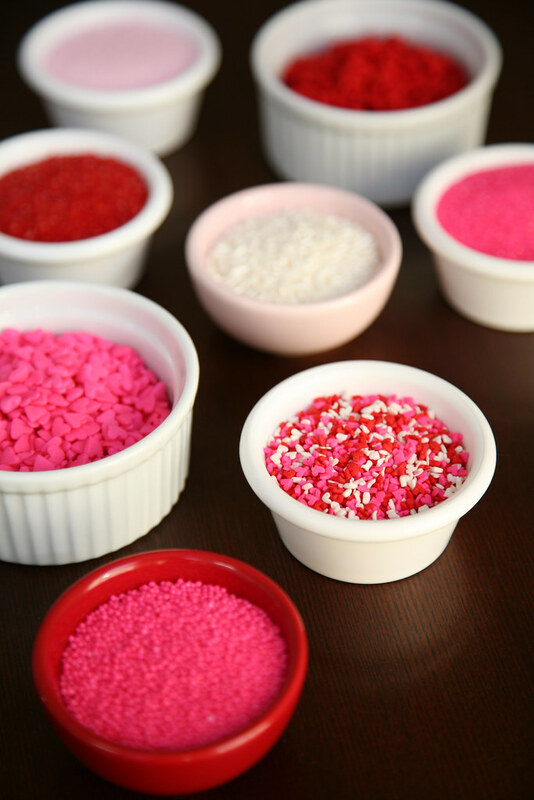 From there, I couldn't make up my mind with all the fun new sprinkles that I got from Tia. Sprinkle heaven. 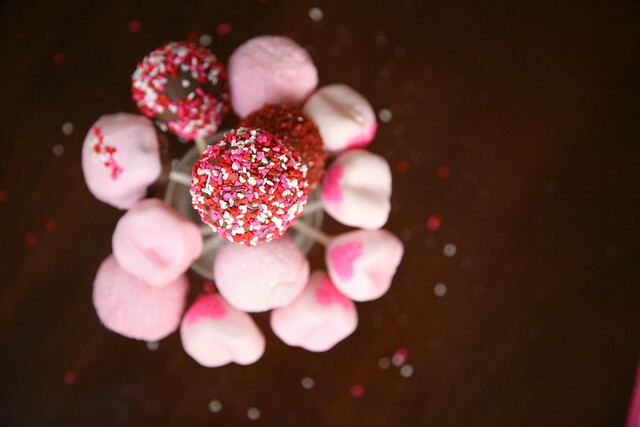 I made some basic round cake pops and twirled them around in the mini red, white, and pink heart-shaped quins. 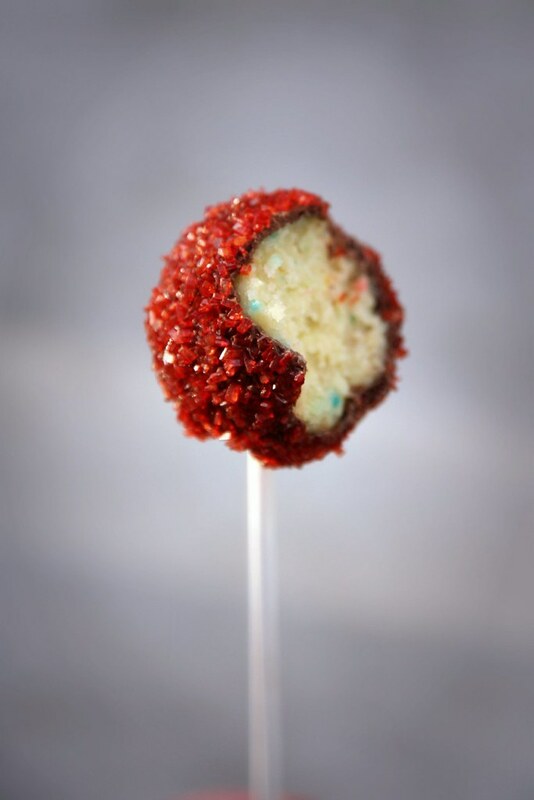 I rolled some cake pops in light pink and red sparkling sugar. I tried my hand at a few valentine's day cupcake pops. 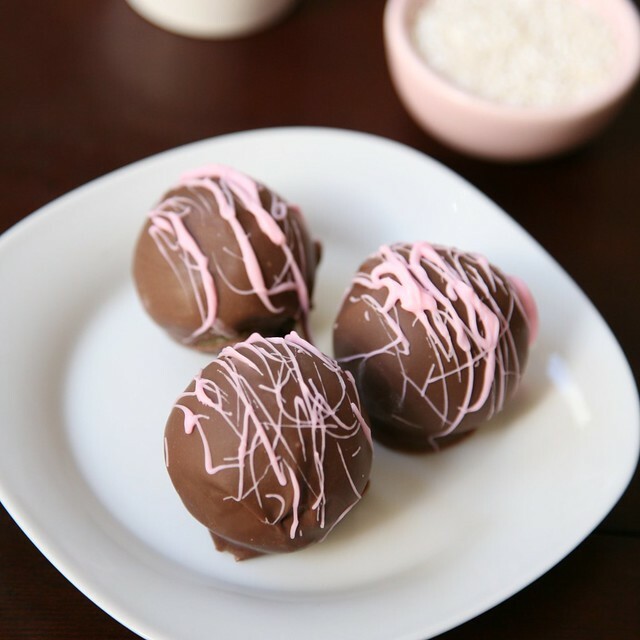 Oh, and the chocolate covered cake balls with drizzles of pink candy coating. I guess I kind of went cake pop crazy. It's like a bouquet of cake pops! I tried to make these in a hurry, so I used a box of confetti cake mix left over from when Cole made me my birthday cake. I understand why Bakerella uses the mix. The consistency is pretty priceless. Plus, I secretly love me some confetti cake. 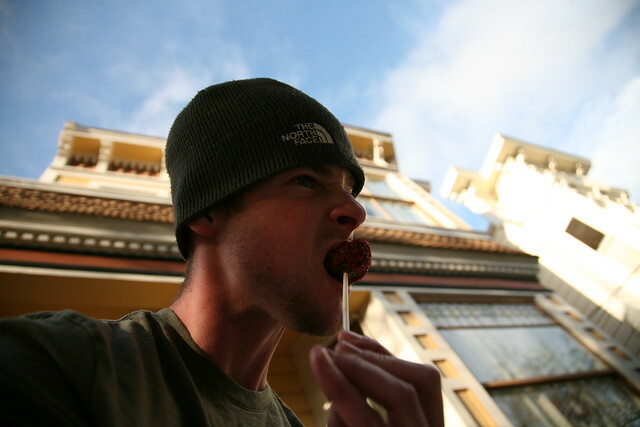 Here's a glimpse of the inside of the cake pop.